Published over 290 research articles, which appeared in National and International, journals of repute and also several major review articles and chapters in books. Published 38 books in the area of Microbial Technology, published by Academic Press, London, CRC Press, Florida, USA, IDRC, Canada and Springer-Verlag, Germany. Since 1st Feb. 2015, Visiting Scientist, Plant Molecular Biology Group (PMB), International Centre for Genetic Engineering and Biotechnology (ICGEB), New Delhi. 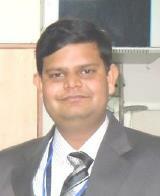 2008-2011, Senior Scientist PMB Group, ICGEB, New Delhi. 1997-2007, Associate Scientist, PMB Group, ICGEB, New Delhi. 1995-1997, Group Leader & Associate Scientist, PMB Group, ICGEB, New Delhi. 1988-1995, Assistant Research Scientist, Molecular Biol. Group, ICGEB, Trieste, Italy. 1986-1988, Postdoctoral Fellow, UCLA, Los Angeles, California, USA. 1983-1986, Visiting Scientist, NIH (NCI and NICHHD), Bethesda, Maryland, USA. 1977-1983, Research Assistant, K.G. Medical College, Lucknow, UP, India. ANIMAL BIOLOGY: Cancer (Lymphoma, Leukemia), P-450 system, Retinal degeneration (mice & human eye), Human DNA replication, DNA Damage & Repair. FUNGAL BIOLOGY: Plant-microbes (Piriformospora indica fungus) interaction; isolation of high salinity stress tolerant genes from P. indica; developing stress tolerant plants by the fungus genes; exploitation of this fungus for developing improved growth and yieldof the crops through non-transgenic approach. SOIL BIOLOGY: Effect of transgenic crops on the physicochemical properties of soil and microbial communities of rhizosphere; characterization of native Azospirillum strains and efficient nitrogen-fixing Azotobacter strains from rice fields to improve crop productivity; isolation of efficient microorganisms and formulation of zone & crop specific Biofertizers for improved yield and stress tolerance; harnessing wheat plant-microbiome for drought tolerance and improve productivity (indo-Australia project). 2011, Fellow of “National Academy of Agricultural Sciences”, New Delhi (FNAAS). 2009, Fellow of “National Environmental Science Academy”, New Delhi (FNESA). 2009, Fellow of “Indian Academy of Sciences”, Bangalore (FASc.). 2007, Fellow of “Indian National Science Academy”, New Delhi (FNA). 2003, Fellow of “National Academy of Sciences”, Allahabad (FNASc.). 2011, Goyal Award in life sciences for outstanding contribution in the area of Plant Molecular Biology and Plant Biotechnology. This award is given to one scientist only every year by Kurukshetra University. The award consists of cash of Rs.1.00 Lakh, a memento and a citation. 2009-2010, Scientific award under category "VIGYAN GAVRAV SAMMAN" for the year 2009-2010 awarded by Council of Science & Technology, U.P. This award is given to one scientist for his/her outstanding contribution in the field of science writing, scientific research or special scientific achievement or development of technology useful on National level. The award consists of cash of Rs.1.00 Lakh, a memento and a citation. 2010, Best Scientist AWARD of the year - 2010 by the International Board of Awards of National Environmental Science Academy, New Delhi. 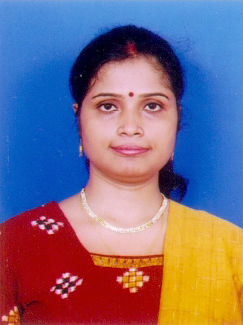 2008: Genomic Pioneer Award: Ocimum Biosolutions and Gene Logic in association with OBBeC have awarded Dr. Tuteja the most admired researcher award for outstanding contribution to the field of Genomics during International meeting of the Human Genomic Organization, Sept. 27-30, Hyderabad. E. 1986, Post-graduate Researcher Fellowship, Awarded by University of California, Los Angeles, USA. 1985, NIH Visiting Fellowship, Awarded by Fogarty International Centre, NICHD, NIH, USA. 1984, NIH Visiting Fellowship, Awarded by Fogarty International Centre, NICHD, NIH, USA. Professional Membership: Member of American Society of Microbiologists. Life Time Membership: Eucalyptus Research Society, Forestry and Agricultural Biotechnology Institute (FABI), University of Pretoria.-"EUCAGEN"
Educational Qualifications: M.Sc, NET, Ph.D.
Educational Qualifications: Ph.D. (Microbiology), Gurukul Kangri University, Hardwar, 2008; M.Sc. (Microbiology), H.N.B. Garhwal University, Uttarakhand, 2004; B.Sc. (Biology), M.D.S. University, Ajmer, Rajasthan, 2002. Specialization: Novel Drug Discovery Research, Antimicrobials, Plant-Microbes, Microbiology of Food, Water, Drugs & Pharmaceuticals and Cosmetics, GLP, NABL, ISO, USFDA etc.